This month's volunteer in focus is Lyndon Evans, who talked to us about his experiences volunteering and his excitement for the ICC Cricket World Cup to come to his beloved Wales. Tell us a little bit about how you began volunteering? 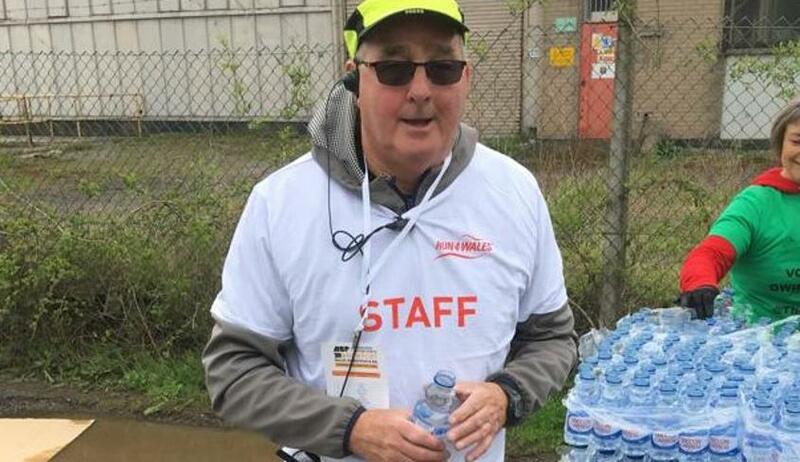 I retired four years ago and decided to volunteer at Run4Wales in September 2018 - it’s a company that organises the World Half Marathon Championships and Commonwealth Championships. It was a brilliant opportunity which progressed into a paid role as a section manager for part of the course. I’m a keen sportsman and have always had a passion for promoting sport and further promoting Wales. The country puts on great events and I like to be a part of that success, be it the Champions League, Six Nations, Velothon or ICC Champions Trophy in recent years. It’s been 20 years since the Men's Cricket World Cup was held in England and Wales. What do you think it means for the game in this country and how important do you think it is for the younger generation? This is the first cricket event for me. It’s a great chance to showcase cricket in Cardiff and promote the sport to new people. I think the Cricket World Cup will encourage more young people to get out and about, hopefully getting something positive out of cricket, and maybe even joining a club at the end of it. What was the last volunteering event you did and why have you come back for more? It was the Cardiff Half Marathon back in September. I loved it and wanted to come back for the excitement and passion that goes hand-in-hand with these events. It’s great to give something back to the sport and meet lots of new people at the same time. What are you most looking forward to about being a World Cup Cricketeer? The buzz of interacting with like-minded people. It’s always great fun and extremely interesting communicating with individuals from the other countries and finding out about their culture. Who do you fancy to be crowned ICC Cricket World Cup 2019 champions? I’m going for an England v India final and hoping for an England win. If I were a betting man, I’d say New Zealand have an outside chance. You’ve obviously done a lot of volunteering at major events before, so what bit of advice would you give to anyone doing this for the first time? Don’t be afraid to get involved. Go the extra mile because I truly believe volunteers make all the difference in sporting events.